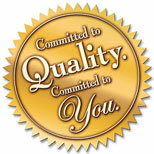 Total Commitment for Quality, Durability, & reliability. Going an extra mile with our clients to establish a successful and long term business relationship. Constantly seeking ways and means to provide higher level of customer satisfaction. Extensive market research to understand and meet with the growing demands of the ever changing Automobiles Industry. Continuously upgrading quality standards in line with the trends to benefit our customers in future. We are providing the whole range of spares 207 Passenger Car Series (Sumo, Sierra, Estate, Mobile, indica, Indigo) under one roof. We are updating our customers on daily basis through e-Networking. We are sending the list all of New Arrivals & change of rate every month to our all customers. We upgrade our dealers regularly of the new product development & their technology. We are giving Ordering Software to all customers to place order easily.